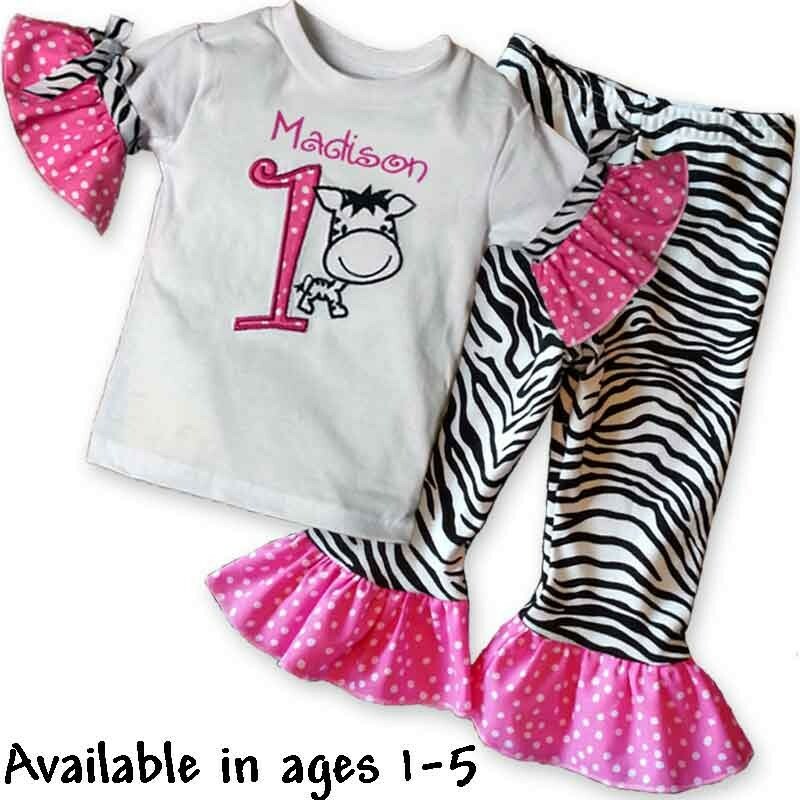 Get ready for lots of ohhhs and ahhhs when your little girl makes her entrance in this adorable bright pink zebra birthday outfit. It doesn't get any cuter! 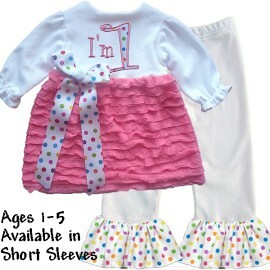 This cute birthday outfit will get her a lot of attention on her special day! 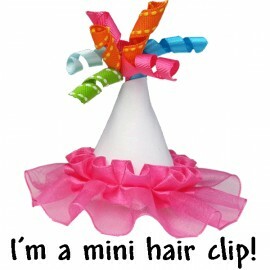 She'll love it so much she'll want to wear it every day! Personalize Me! Enter the name in the product customization area below. If you don't want a name, enter "no name". 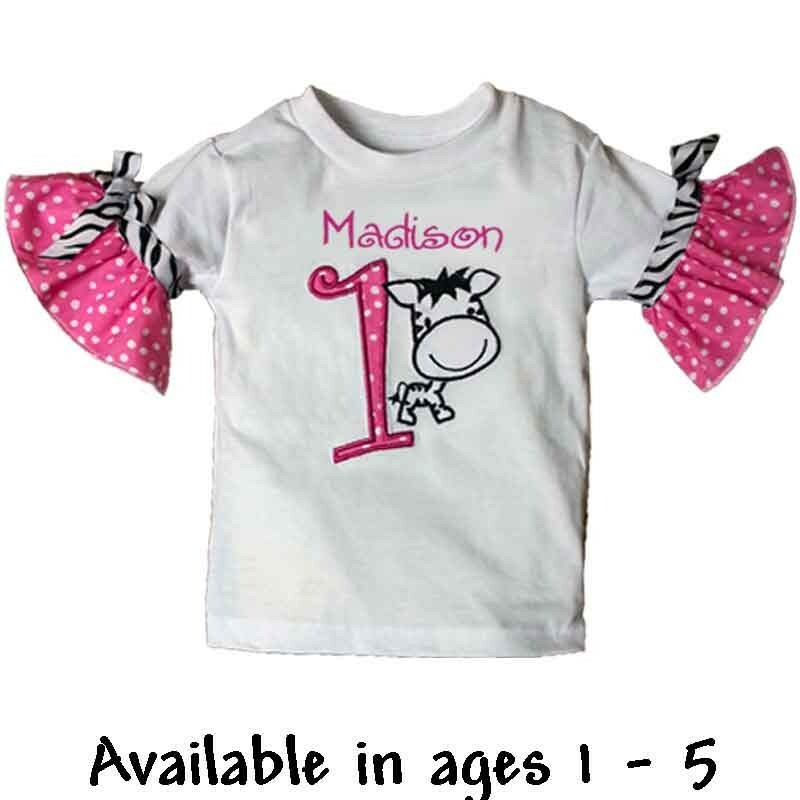 Features: The shirt features polka dot age applique. 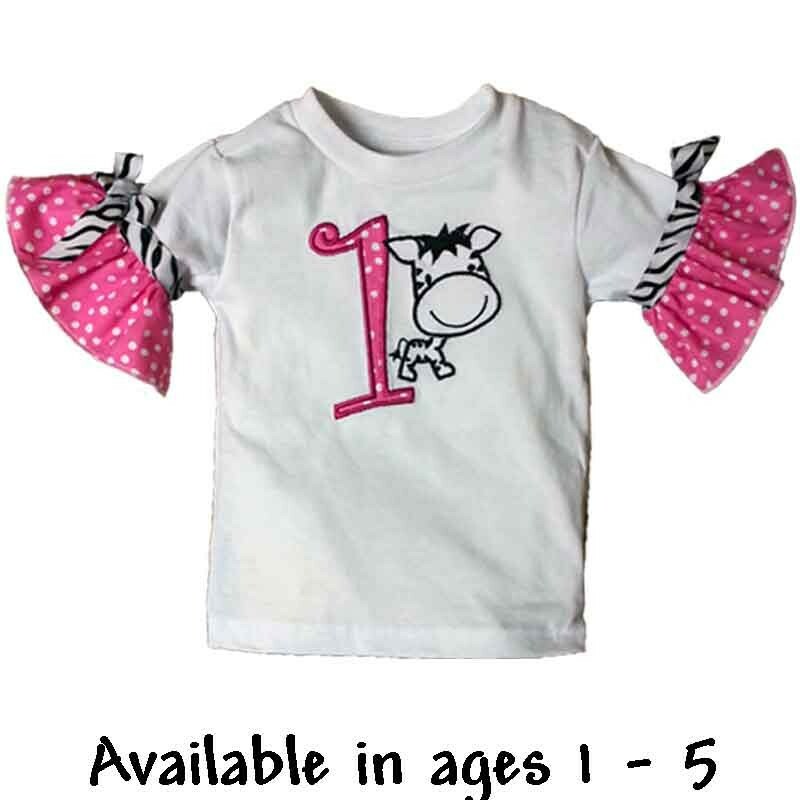 Adorable embroidered zebra. Personalized with her name makes it extra special. Pink polka dot ruffle sleeves with zebra ribbon trim added for extra cuteness! 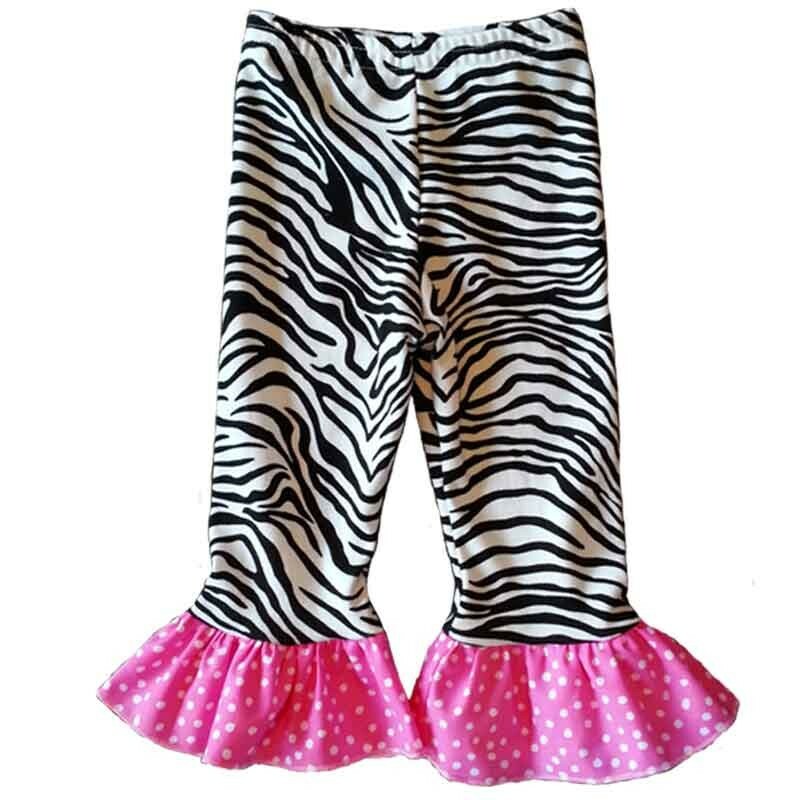 The pants feature ultra soft zebra knit fabric that stretches and moves with your active baby. 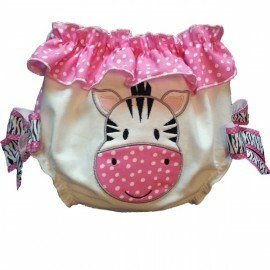 Pink polka dot ruffles. 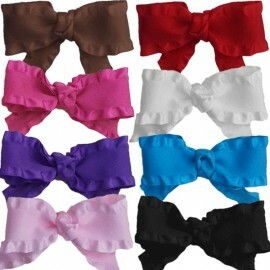 Anti-roll comfort elastic waist. 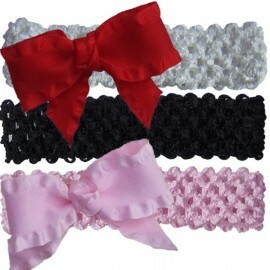 Made in USA: Each Lucky Skunks outift is lovingly created by seamstresses with years of experience. This translates to high quality clothing that you can feel good about dressing your little one in.